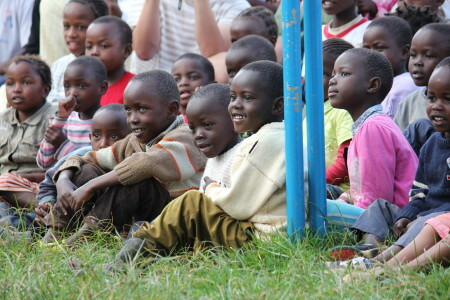 Back in 2001, a parent at our pre-school was approached by a family member at the UN and asked if they would be interested in supporting a very special children’s home in Kenya, The Nest Children’s Home. Through this link, contacts were made and our pre-school very soon became a proud supporter of this very worthwhile charity, and to this day, we are dedicated to raising funds for these very vulnerable children. The Nest is a project for the rescue, rehabilitation and integration of children in conflict with the law, and children with imprisoned mothers. The program reaches out to prevent the children of imprisoned mothers from fighting for survival on the street. The Nest rescues effected children and approves their living conditions during the imprisonment of their mothers. They rehabilitate and later integrate them and their released mothers and their extended families and society at large. The Nest also works to create public awareness about the plight of children whose mothers are imprisoned for petty offenses. It is a fantastic cause that we feel passionately about. We are in contact with the Director who is always so grateful for our donations that really do make a difference.